So you want a copywriter help you craft words that will utterly convince potential customers they absolutely must buy whatever it is your selling or sign up to your service? Before you fire that email, LinkedIn message, Twitter DM, or phone (hey, it happened once to me), there’s a few things you should know. 1) We don’t know what makes your business great. You do. This has happened enough times to me that I am putting it first, because it’s by far the most disheartening thing for both you and your copywriter. Contrary to what some may believe, your copywriter doesn’t know how to sell your business. The good news is, you do! You know what makes your business successful. You already know how to sell whatever it is your make or do, and the kind of person who buys from you. It is your task then, to tell all this to your copywriter, so that they can shape it into something that not only succeeds and sells, but does so in a way that best suited to your medium (be it your website, your newsletter, your social media, or even your pamphlet, if you go in for that kind of thing). Copywriting is all about crafting a message that persuades the reader to take action, ideally to engage your brand and (eventually) buy what you are selling. Is it going to help you gain more customers? Do you want them to download that white paper you put together about the benefits of working with professionals like you? Maybe you are doing market research and you want visitors to indicate what they are most interested in about your offering? While good writing is an art, copywriting, at the end of the day, is a tool to help your business succeed. If it is not contributing your success, then why are you using it? Because if you aren’t clear on what the goal of the copy is, you could have the greatest copywriter in the world, but anything they write will be worthless if it isn’t help you achieve a business objective. That said, a good copywriter should be able to help you better define the details of how the writing can work for you, but it starts with you having at least a basic idea of your objectives and desired outcomes. Assuming here that you are not your copywriter’s first client (if you are, thank you for your trust and support in giving a new writer a chance, we all have to start somewhere), it is the copywriter’s task to take all of that business information you have given them, and how it can crafted into something that is convincing and effective on the medium you are using, be it in print or digital. Given an ongoing trend in marketing that shows that consumers are becoming less tolerant of content that doesn’t deliver value to them, as copywriters we spend almost as much time considering what doesn’t need to be in the copy as what does. The result should be effective copy that tells the reader the right amount of what they want and need to know to feel they can make an informed buying decision. This can be challenging for some business owners, especially if they are not used to having someone else work on the business’ messaging. However, if you hired a professional, you should be reasonable in trusting that they will deliver professional results, and they know enough about their craft to give you effective advice on how to best engage with your audience. Now, I am not suggesting you follow whatever your copywriter says, far from it. At the end of the day, it is important that you, as the client are satisfied with the work. It is important that the copy be in the correct style and tone for your brand, and that it does help engage your audience. My suggestion, especially if you’ve never worked with a copywriter before, is limit the first bit of work to something small, so you can get a sense of what they are like to work with and the quality of their results. If they deliver the outcomes that you want, then consider taking on larger pieces of work to help you with. If you enjoyed this, do check out other articles on this blog, all meant to help you understand the ins and outs of copywriting. If you are looking for a copywriter and think I could be a good fit, get in touch, let me know what you’re working on. Customers (and players) don’t like being told what to do (without a good reason). One of the most exciting (and incredibly aggravating) things about crafting something for others, be it a beautiful product or a compelling story, is that they don’t act or react in the way you intended. As a Dungeon Master, this looks when you spend a lot of time creating a story plot and world for your players. Your players could really like your Non-Player Characters (NPCs) and get really hooked on the plot of your campaign. On the other hand, they may unexpectedly burn down the house of that wise old wizard who would have helped them. As a content marketer, where, while you might have an approximate idea of who your client business’ customers are and what they feel and want, you don’t REALLY know who they are until you put yourself out there and try to attract them to your brand. So you might have what you thought was an amazing piece of content, but when you go to publish it, it falls flat. This could be for any number of reasons: maybe you published it at the wrong time; maybe you didn’t promote it enough; maybe your content wasn’t as interesting to your audience as originally thought; maybe it wasn’t even that well-written and you didn’t have the time or budget to have someone give it a read-through before you fired it off. The fact is, once you put out your content out there, you can no longer influence how others interact with it. How people react and engage with your content will always be outside of your control. It may be tempting to intervene and steer your audience (or your players) to engage the way you intended —DO NOT DO THIS. This is especially true for Calls to Action – when people feel they haven’t been given enough information or a compelling reason to take action, it kills any interest they might have had. They need to know what is in it for them if they choose to click/buy/go out and slay that dragon. When introducing content in a campaign meant to motivate people (this works for tabletop players and potential customers), the best, and, to a degree, the only way, is to frame your message around what’s in it for them. How do they benefit, how are they better off for engaging with your content? Is it because it’s fun, informative, useful? Your audience is far more likely to take action when they understand why they should. This probably seems obvious, but it is staggering how many websites I’ve been on where the process to buy/sign up/join is unnecessarily complicated and overwrought. Once you’ve (hopefully) done a good job of helping your customer or player understand and want to take action, the best rule is often “Get out of their way.” Remember: it’s not about you – they are the heroes of the story, so let them be so. People do surprising, unexpected things. While you may not be able to influence how your audience interacts with your content, what you CAN do is pay attention to how they do engage. This is where recording data and responses are useful – once you have that feedback, you can learn from it, and adapt so that your next piece of content is even more tuned to the needs and wants of your audience, and motivates the action you want them to take. What does the art of copywriting have in common with fighting demons and swinging swords using pencils, paper, and weirdly shaped dice? I’m assuming you’ve at least heard of Dungeons & Dragons© (often simply referred to as D&D), perhaps it’s this game you’ve seen the characters of Stranger Things play, or something you’ve heard that one nerdy friend talk about that one time. For me , it’s a fun hobby, something I do with my friends. Well, the fact is D&D is principally a storytelling game. More than that, it’s a collaborative storytelling game between the Dungeon Master, who facilitates the game, and the player characters, who shape the story through their decisions and actions. If the Dungeon Master does their job well, the players are rewarded with a rich playing experience as they watch their characters engage, act, and shape the world they are playing within. So it is the same with copywriting. copywriting works on many of the same basic principles. It is brand storytelling made collaborative between the copywriter and the client. The copywriter’s job is to facilitate the ideas and decisions of the brand owner in a way that is compelling to read and engaging to the target audience. The only difference is that, while in D&D, the player is the hero of the story, in marketing the customer is the hero, for whom we create a rich experience of engaging with the brand. The brand owner, my client, takes on the role then of not a hero in the story, but as a guide for the customer, helping them move through their experience with the brand. As someone that has been a Dungeon Master, I’ve had to learn how to translate how a desire of one of my players (say, to improbably jump over 60 ft. over the teeth of a vicious dog onto a wooden wall), and take their goals and their dice rolls, and not only let them know whether they succeed in their feat, but also describe what happens and how the world around them responds (the dog jumps up and attempts to grab their leg in its teeth as they go sailing by). They then make further decisions based on that outcome. As a copywriter, I do much the same: I take the client’s goals, brand values, and important information about their product and service and compose it into something that responds to the situation of the target customer. I try help them present a compelling solution to the problems they have and motivate them to take the next step (buy, sign up, subscribe, etc). However, instead of using dice and imagining how a fantasy world works, in real life we use data and analysis to find out the outcome of our campaigns and marketing experiments, and adapt accordingly. So, at the heart of it, how has this hobby helped me be better at copywriting? And how could it help you? For one, it is probably the best example of why the nature of copywriting, and marketing in general, is all about telling a great story – Games like D&D are a fun, easy way to practice collaborative storytelling. 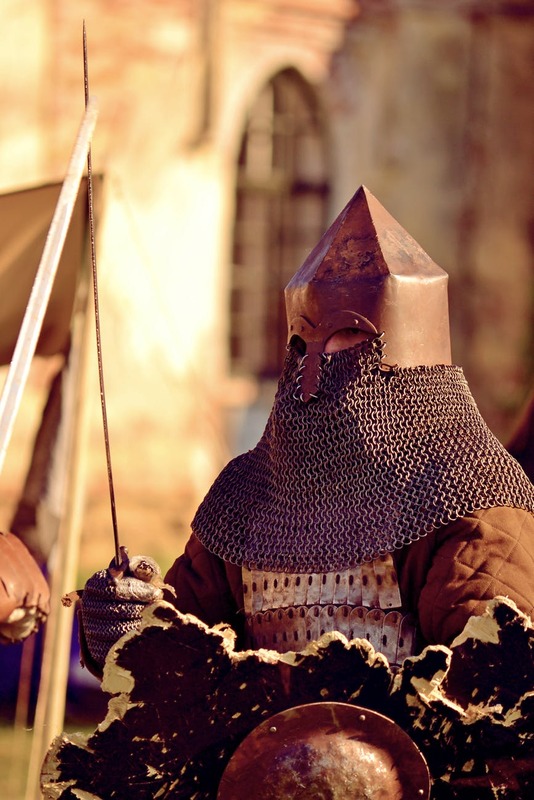 If you can get a group of people to join you and buy into going on a quest to slay a fearsome dragon, you can use those same skills to persuade them to sign up for your business’ subscription services. It has taught me, not matter what industry or client I’m working with, to always put the customer at the centre of story. Human beings are the heroes in the epic narrative that is their own lives. Whether in around the game table or in the marketplace, if you can appeal to that essential nature of people, you are always off to a good start. While there is certainly a lot of aspects of copywriting and marketing can be rote and repetitive, great copy and branding all call on you to be creative and use your imagination. Just like the thousands of games of D&D and games like it are unique and specific to their players, every brand needs to be unique and specific to its core customers. What that means will be different in every instance, but I can guarantee that a great brand is always based on a creative idea or fresh take on what it does. It’s the last days of summer, and I’m thinking about cough syrup. Specifically, I’m thinking about Buckley’s. What drew my attention to this recently was a thought about what makes this such an outstanding piece of advertising copy: its uncompromising honesty. It doesn’t shirk from the fact that Buckley’s does categorically taste awful. It sells itself on the fact – balanced with the fact that despite its taste, it is very effective at suppressing cold symptoms. I understand that there is some solid medical science behind why this is, although I suspect that part of it has to be with nothing could ever possibly be as bad as taking a spoonful of Buckley’s, making the cold seem bearable by comparison. The tagline is the product of one of the pitches that Peter Byrne, a copywriter working for a Toronto agency at the time, now retired co-founder of Toronto marketing agency Bensimon Byrne, gave to the Buckley’s CEO, Frank Buckley, in 1986. Frank, clearly prepared to take a risk that day, decided to go with it. It would skyrocket the brand to the top of its product category: from maybe the 9th best-selling cough syrup in 1986, to 1st by 1992, and (although I have been unable to find more current information) was still the top-seller when Buckley’s was bought up by the multinational Novartis in 2002 (it now belong to GlaxoSmithKline, who bought it from Novartis earlier this year). The point of this is though, that, when properly positioned, honesty can help you sell. Even when the honest truth might be a bit unpleasant, or at least, not something considered to be a positive feature of the product or service. It is authentic and genuine, which inspires trust in your customer because it shows that will not hide important information that influences their buying decision. What is more, I believe, is that, while the Buckley’s campaign was conceived in the 80’s, when it was considered a fringe marketing technique its example is tremendously more profound in the age of internet marketing. It is practically impossible to keep secrets from your customers when it comes to your product or service, and will and is making honest marketing the default for brands in Canada and the rest of world. Maybe not as front-and-center as bad-tasting cough syrup, but the ability to hide anything is quickly vanishing. How Wish Won The World Cup, in Digital Marketing.